When I purchased my house one of the main reasons I chose it was because it had a double garage at the bottom of the garden which would of made an ideal workshop. After several year of letting the house out and a couple of an extensive remodel I finally moved in. Many months passed before I was recovered enough from the effort of the building work to think about using my workshop. To my dismay I soon discovered that the garage frequently flooded due to water seeping under the doors and between the walls and the slab. It was clear that I was going to have to do something about this. After investigating a lot of options to stop the leakage it became clear that the only repair option was to dismantle the garage poor a new slab at a higher height and rebuild which was going to be a big hassle. So I decided to make the best of it and build a bigger and better workshop with more space so I can work on multiple different projects at the same time and insulation so I will be more comfortable. It will be a large single room of just under 50 square metres but I may partition off an area for use for small electronics / modelling projects in the future. Having investigated various construction options I have opted for conventional construction with rendered cavity walls and a tiled roof. With a design in mind it was time to draw up some plan and apply for planning permission. Which was easier said that done. On the third attempt the council finally accepted them and it was just a matter of waiting for a decision. The planning office decided she need to see the site and gave me a good grilling about what I was intending to use the space for, finally I got the approval! So its all stations go, next stage will be the emptying of the old garage which will be no mean feat! 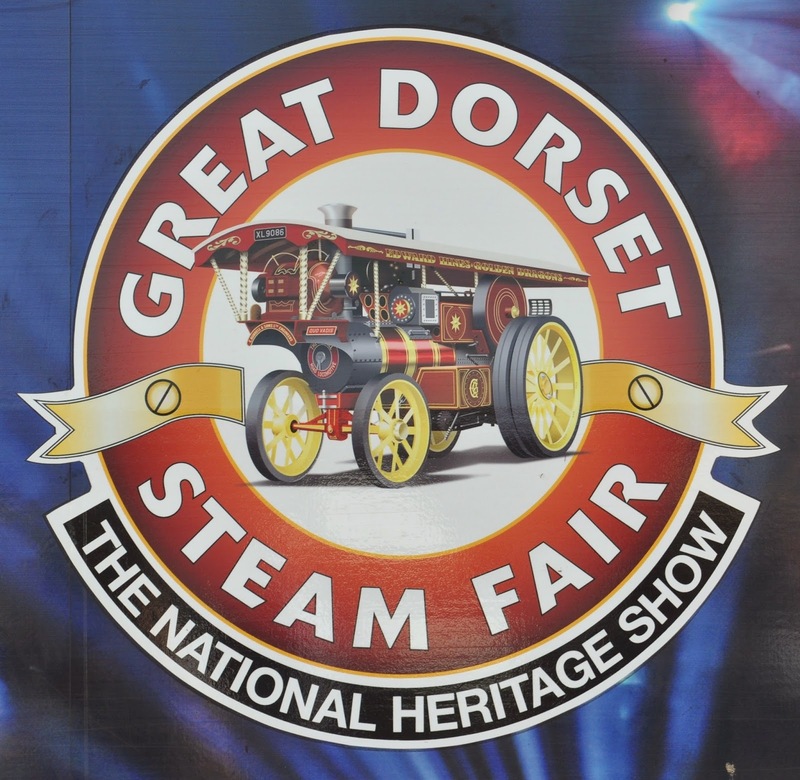 Having always wanted to go to the Great Dorset Steam Fair when the opportunity arrive I leapt at it. To paraphrase The Hitch Hikers Guide to the Galaxy this is big, really big whilst we only went for the last day I can see how you could easily spend a few day at it. Unlike other steam fairs I have been to where there might be a dozen traction engine there, here traction engines, showman's engines, steam ploughs, heavy plant, and stationary engines as far as the eye could see. Hopefully I will be able to make it next year. I have posted a few pictures on my flickr follow the link below. As the Vulcan was not at the Royal International Air Tattoo this year and we wanted to see it fly we had a look around at the options. As we were going to Weymouth anyway we opted for the Bournemouth Air Festival a show we had never been to before. Later we found out that the Canadian Lancaster bomber would be flying there also which would of been an amazing bonus but unfortunately it was cancelled due to engine problems. Hopefully we will be able to see it for it goes back to the other side of the pond most likely never to return. So what about the show? Well its a very different show from the ones we normally go to such as RIAT or Cosford and was in fact the first seaside show we had been to. This has some plus points and some negatives, on the plus side you are much closer to the flight line so you get a great view, the only real negative is that you miss the take off and landings, oh and its a bit sandy! Once again we opted for the hospitality which made the rush to find some space on the beach not a problem. I would however say this is probably the ideal family air show as even if you have no interested in planes (and naval ships) you can still have a nice day on the beach. The only other suggestion I would have is go by train if at all possible it sounded as though parking was a nightmare! Below is a link to a few more pictures I took although I was having camera / operator problems so unfortunately they are not great! The highlight of the show for me was rather predictably the Vulcan which did an amazing howl. My dad agreed but added that the Typhoon was a very close second for him. So would we go again, yes, yes I would. 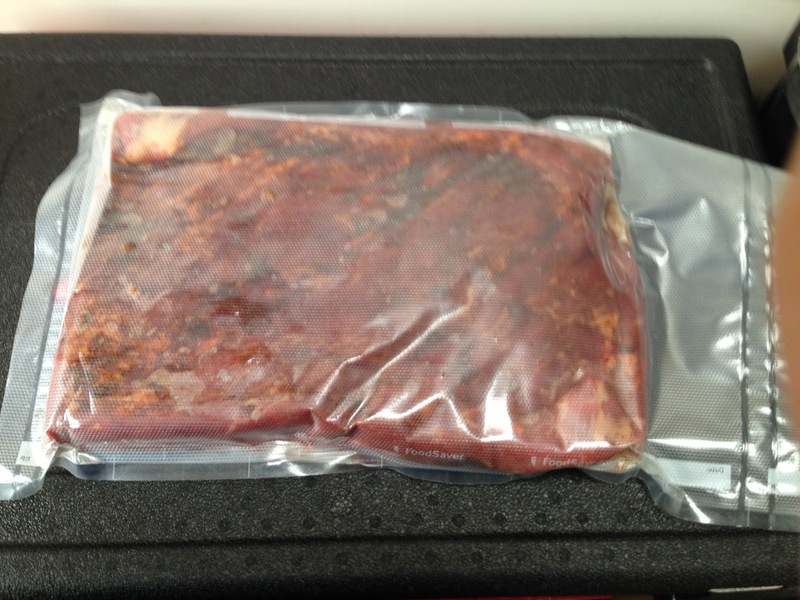 Brisket of beef vacuum packed ready for cooking. Last month I held my annual BBQ, and decided I should have ago at doing something different. 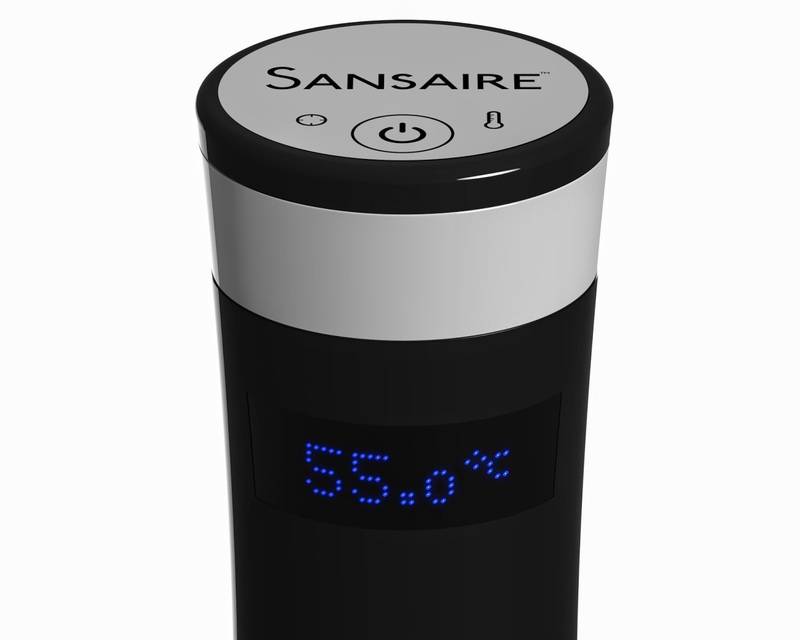 As I now have Sansaire emersion circulator which of recent times had been under used I thought it would be fun to combine sous vide and BBQ. After careful thought I decided to go with cooking a brisket of beef. I was limited in size by the max width of my vacuum sealer, next time I may get the butcher to seal it for me so I can go with a larger piece of meat. The piece of brisket I ended up cooking was about 12" x 16" x 1.5", whilst I could of gone a bit longer any thicker or wider was not an option. Below is how I went about the cooking, its not at all a recipe but it might give you a few ideas. Four days before I wanted to serve I trimmed the excess fat and any sinew from the meat, applied a dry rub (heavy on the black pepper but with only a small amount of salt at we do not want to cure the meat) and vacuum packed it. Now whilst this is a cheap cut of meat it is going to take four days to cook, a do over is not an option so I opted to double bag the meat just to make I would not have a bag split. Once bagged I left the meat in the fridge for 24 hours to let the flavours from the rub permeate the meat. 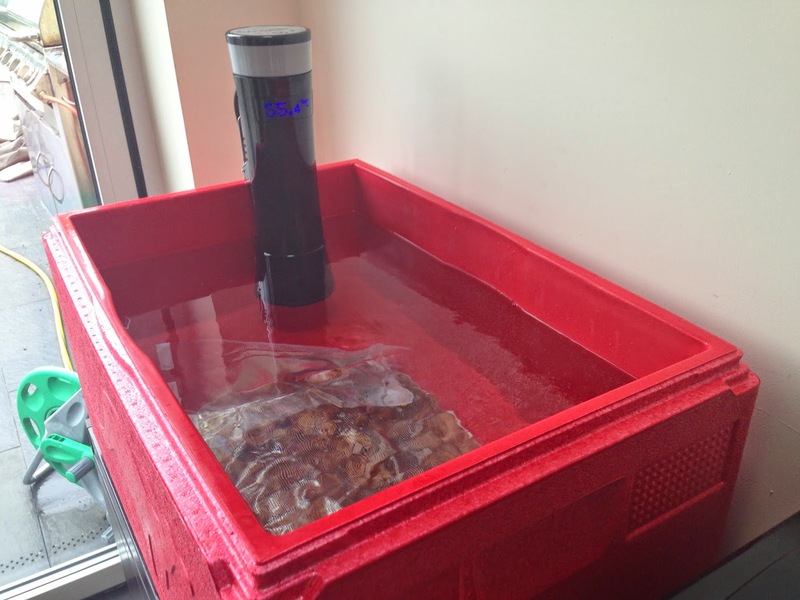 Beef brisket cooking in water bath. After the 24 hours were up I transferred the brisket to the water bath, as the cooking time was going to be around 72 hours at 55c I decided to invest in a good quality cooler to try and save some electricity and so I would not need to top it up as often. As the Sansaire is sticking out the top I was unable to fit the lid but I placed it on the best I could. Despite this I still had to top up the water level every day to allow for evaporation. In the future I may buy an extra lid and notch it around the Sansaire or possibly opt for a layer of ping pong balls. I'm not sure which will work out best value, ping pong balls may be cheap but I would need a good couple of hundred. 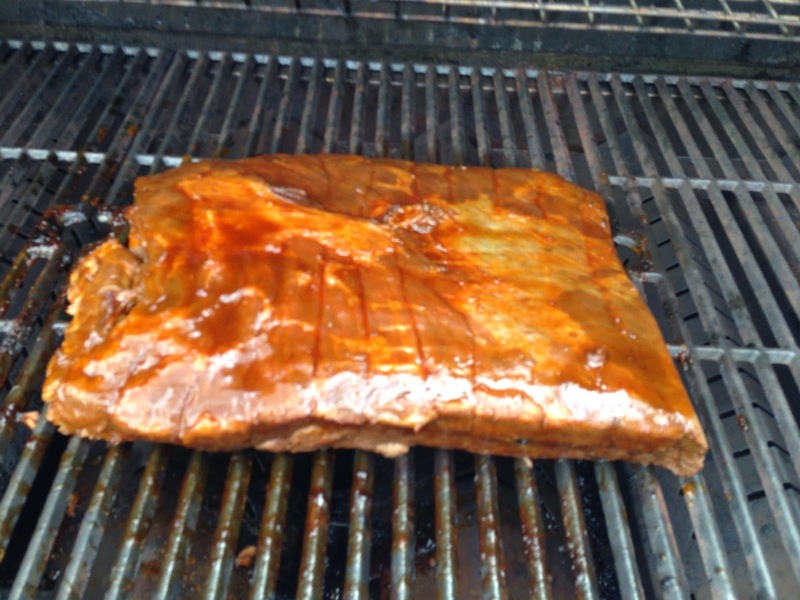 Brisket having just been moved to grill and basted. After the 72 hours were up I carefully removed the brisket from the bag trying to keep it in one piece and transferred it to the BBQ and cooked it using the indirect method at about 150c for a further 2 hours. Whilst on the grill I basted it about every 20min with my home made mopping barbecue sauce. 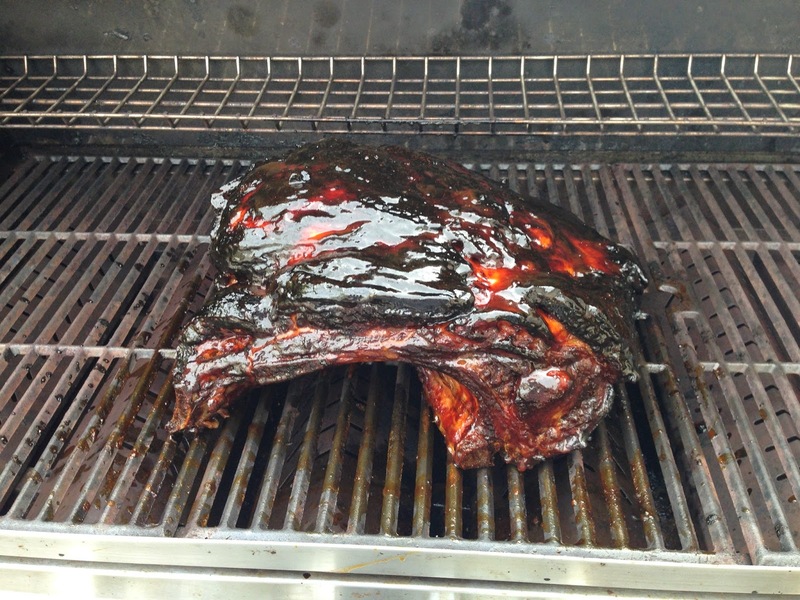 After removing from the grill I rested the meat under foil for around 30min and then cut into 3/16" slices and served. The meat was succulent and tender and full of flavour, but you don't get the smoke ring or as much of a char on the outside of the joint, so it is a trade off. I would also in future reduce the time and up the temperature on the grill as the meat ended up a little more done than I would of liked, either that or maybe finish with a blowtorch? Rather annoyingly I don't have a picture on the final results as I was busy entertaining guests, but I did find one of the shoulder of pork I did for pulled pork :). Shoulder of Pork after 18 hours. A few weeks ago after a very long wait, first for them to rerelease the Nest Protect after they withdrew the from sale and then for Nest to for fill my order my Nest Protects finally arrived. I decided to opt for one wired and one battery model, I would of preferred both wired but it would have been awkward to of got a cable to the one in the kitchen without pulling down parts of the ceiling. Fitting in both cases was pretty easy and I would say any competent person could fit either providing in the case of the mains model you are replacing an existing mains unit. The design is clean and they look good in most rooms, it would however of made fitting much easier if they were round so you did not have to align them with the axis of the room. When fitting the mains version its a bit difficult in some cases to get the cable to come through the ceiling in the right place other than that fitting is easy. I also like the fact they include push on Wago connects and the screws. Setup is well thought out and I like the uses of a QR code to save you entering the device information. It did however take some time for my phone to connect to it and for it to then connect to my Wi-Fi, in fact it took several attempts. Once connected however it seems to have stayed so with no problems. One thing to note is that you do require a smart phone or an Android or IOS tablet to configure them, it is not possible to do it from a pc or mac. On a day to day basis the Nest Protect is very easy to live with. The quick green glow of the "Nightly promise" is surprisingly reassuring, and the Pathlight gives just enough light to stop you from bumping into things. The nice big button is easy to hit with a broom if your detector is out of reach to silence or test. 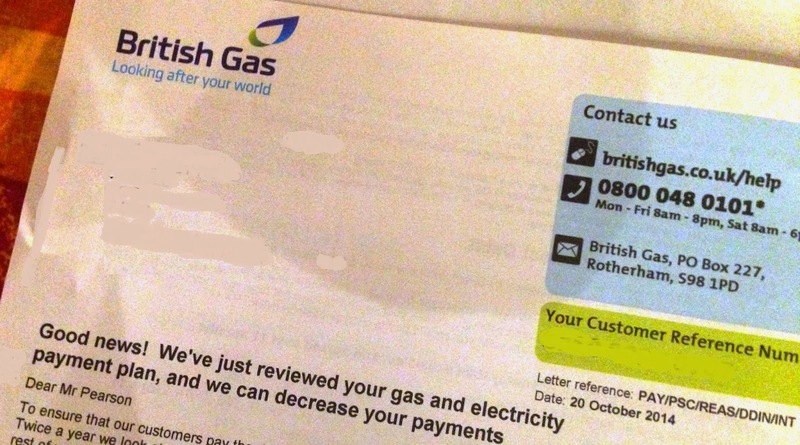 I also love the idea that it will shutdown my boiler if CO is detected although the boiler will still come on for hot water. So far thankfully I have not had the alarm sound for either Smoke or CO other than during a test, hopefully I am not tempting fate. 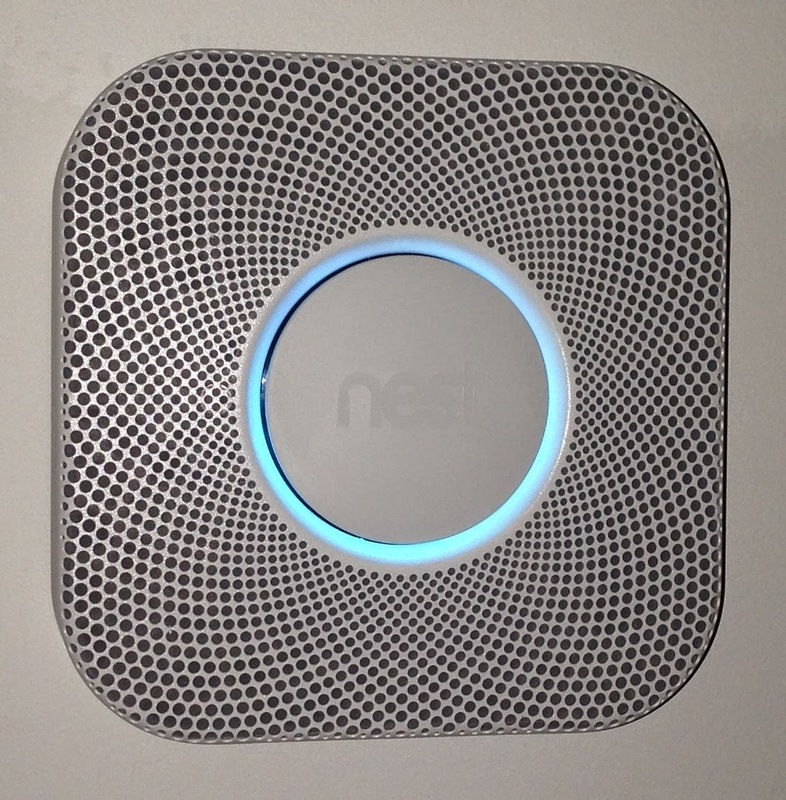 All in all I am very happy with my purchase, and look forward to see what Nest come out with next. My dad and I made our annual trip to the Royal International Air Tattoo the other weekend, we have been going each year since 2007 with the exception of the 2008 cancelation and 2012. As always we opted for aviation club tickets for which the private route to the air field and parking on the apron are a big plus. Add to that, a nice lunch, tea & coffee, toilets you would be willing to use and private seating I can almost convince myself its good value. So what did I think of the show itself? Well lets get the bad points over with first. We were both, along with many others, very disappointed to see the Vulcan would not be appearing at this years tattoo. You can read for yourself the "reasons" on the web but what ever the reason many people purchased tickets months in advance on the basis it would be attending. The other big disappointment was that the Lockheed Martin F-35 Lightning II which was meant to be the highlight of the show was unable to attend due to an engine failure and a subsequent grounding, needless to say this was out of the Air Tattoo's hands and regardless safety must come first. The final couple of negative points; I do wonder whether there were a few to many display team this year, I understand this was to celebrate the Red Arrows 50th anniversary but a bit more variety in the types of aircraft would of been nice. I could not help but think these long displays may of pushed the Vulcan off the program. The only other negative and this is more of a personal thing but for the money we spent on enclosure tickets it would of been nice of had wifi access. Now we have issues out the way let have a look at some of the highlight of the show. I thought the Polish Air Force Sukhoi Su-22 'Fitter' display was excellent and could well be the last time I will get to see this relic of the cold war smoking up the sky. When it came to the fast jets I think the RAF Typhoon display takes it for me but the Boeing F/A-18F Super Hornet's display gets an honourable mention. Where the transport planes are concerned whilst I love the Airbus A400M as an aircraft the Italian C-27J Spartan display was as always something else, I am still amazed to see an aircraft of that type loop the loop. The RAF Chinook display was by far my favourite of the rotary wing displays although the Army Air Core Apache display was entertaining. The Battle of Britain Memorial Flight's Lancaster and Spitfire both gave impressive displays and it was nice to see the Dakota flying again. Finally the Red Arrows were back to the usual high quality display and it was nice that they had a reasonable high cloud level to work with. To wrap up this article, will I be going next year? I would like to say if they have the Vulcan etc, but who am I kidding I will most likely go regardless. Below is a link to a few more of the pictures I took on the day, if you read this far they might be of interest. 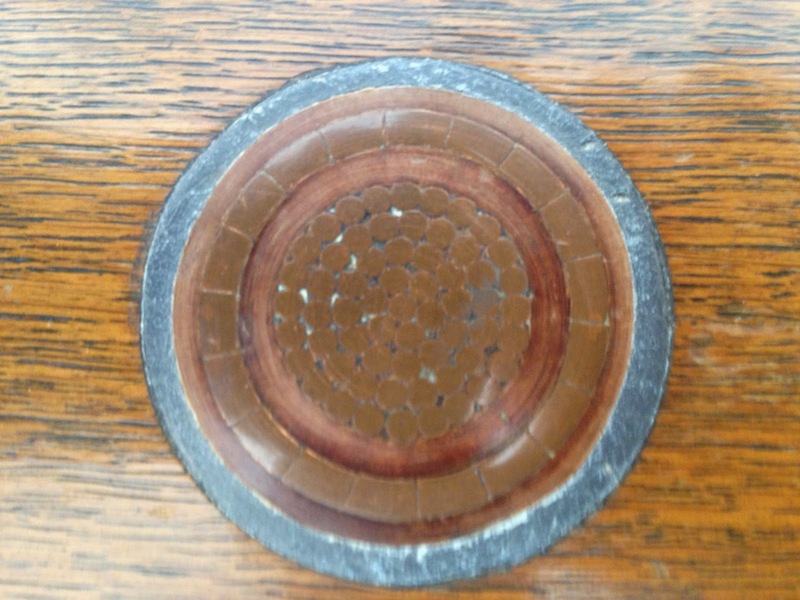 I received a very kind gift recently of an oak box with a slice of cable inlaid into it the lid. 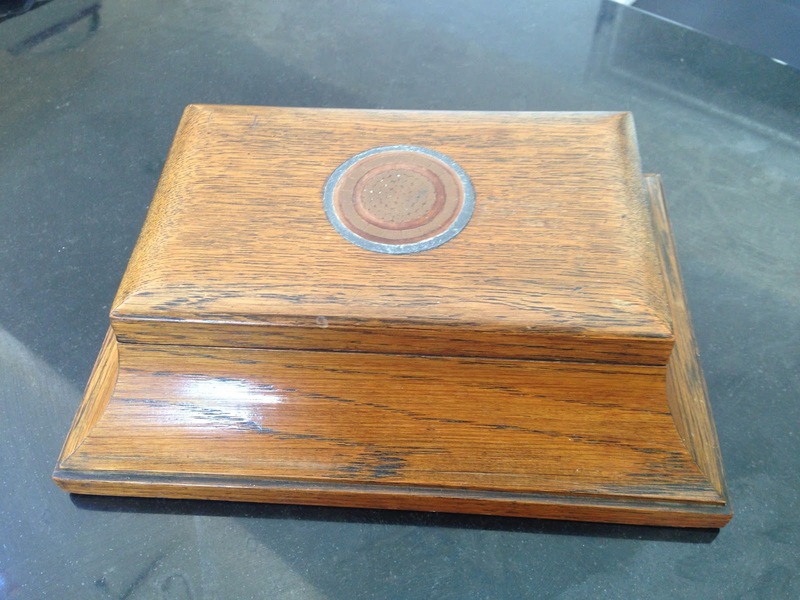 The underside of the lid is stamped with "British Insulated Cables Ltd Prescot Lancs". A quick bit of research has found that they changed there name to the above in 1925 and changed their name again in 1945 to British Insulated Callenders Cables or BICC, after their merger with Callenders Cable and Construction Co. This at lease narrows its production down to a twenty year window. As for identifying the cable itself this has proved a lot more difficult. Its clearly a lead sheathed power cable but beyond that I am struggling . I think the next step will be to find a catalogue from BIC during that era which will hopefully have a description / drawing that matches. Failing that the Liverpool Museum seem to of inherited much of the companies archive so that might be an option. If anybody has any ideas I would love to hear them. 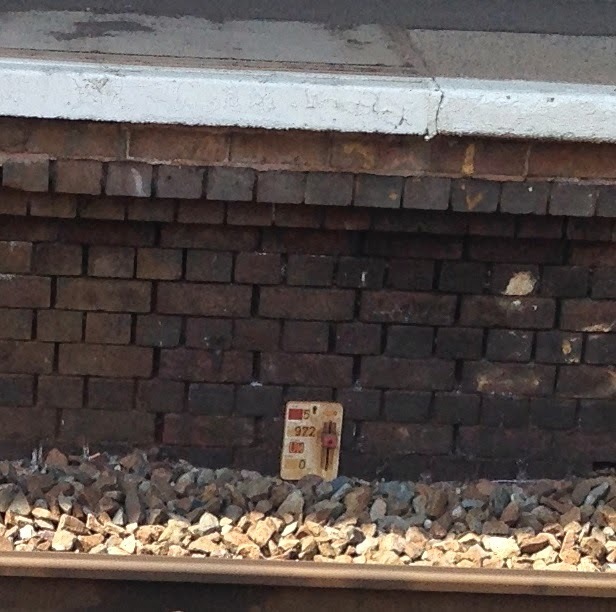 I spend a lot of time on railway platforms I have often looked at these things and wondered what they are? I have asked quite a few people but have never got a definite answer. Guesses include they show the ballast high, they are a vibration indicator or they indicate clearances. If anybody knows I would be very interested to find out! 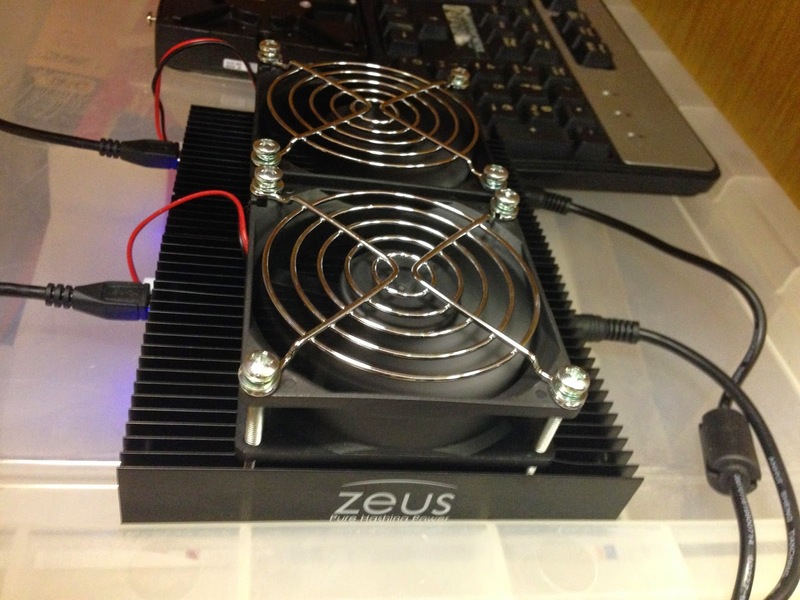 The extra four Zeus Blizzard miners I mentioned in my previous post have now arrived bringing the grand total up to six. Together they are giving about 8.5MH/s and consuming around 292w as you can see in the picture. To save you doing the maths (we are not American none of math crap here) that works out at 1.42MH/s each with a power consumption of 48.67w. I for one am very happy with these figures. My eye has however been draw to an offer they have on the 28MH/s Thunder X3 for only $1199, I think I am going to sleep on that one. I have done it again and purchased yet another piece of cable, the only difference is this time I know nothing about it. Does anybody have any ideas of how I could go about identifying it? It looks from the size of armour strands its from a coastal section but other than that I don't have a clue. First impressions? Well when I unpacked them I can't say I was super happy with the build quality. It is "ok" it will get the job done but its not the nicest. The packaging was excellent by the way. First I tried just the one with the custom build of cgminer and it just worked right out of the box, once I had set the correct comm port. To find this you just need to look it up in device manager. Getting the second one to work took a little more effort. This was largely due to a lack of documentation but after a little searching on the web I found it was as simple as duplicating the comm port entry in the bat file. I am surprised how good these work and I am getting about 2.7mh off a pair of them. That's around the same rate as my three r9 290x rig for about an 8th of the cost. 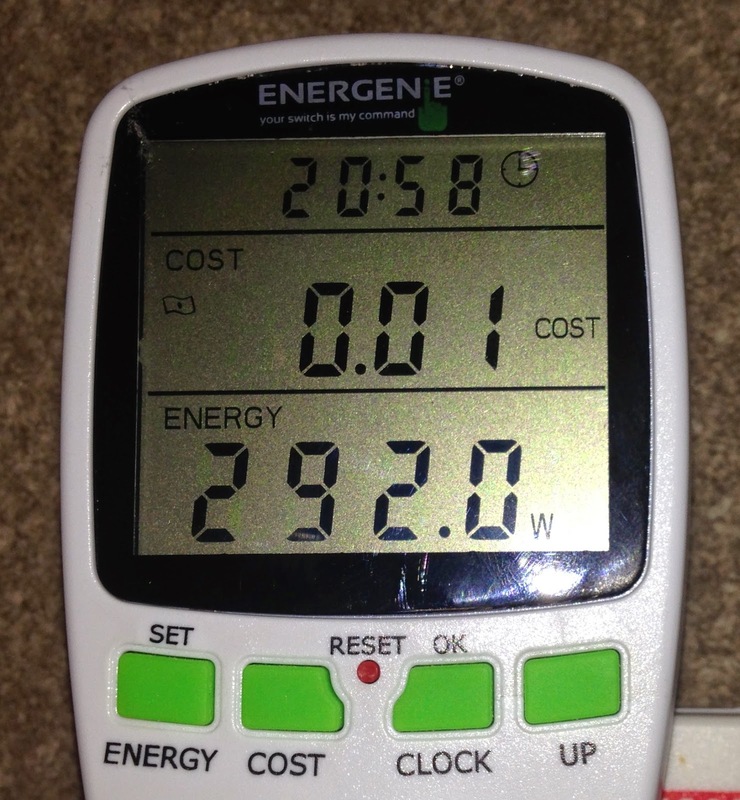 Power consumption is also a fraction of what my old rig used which is good and along with the drop in power consumption there is a corresponding drop in heat output and thus noise as there are a lot less fans which are not having to work nearly as hard. So when all is said and done I'm pleased, well I have ordered another four. So as I mentioned in my previous post I have purchased a replacement control board from Ebay for my Makita 18v Li-Ion LXT batteries. This weekend I finally had enough time to have go at fitting it and whilst it is not just a plug in affair I would say anyone with a multi meter and a half decent soldering iron should be able to do this. I was lucky and had a battery that had ok cells but a faulty control board so I decided to try repairing this one first. 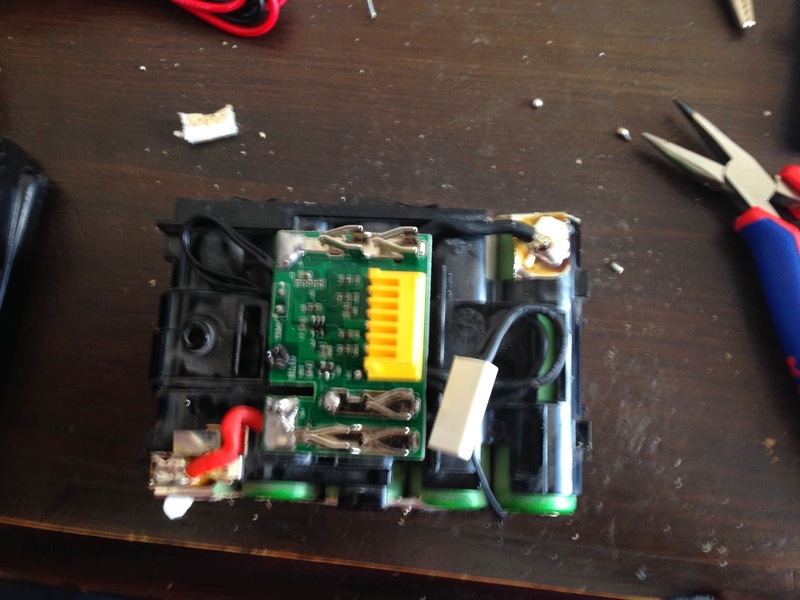 The control board came with ok instructions on how to fit but they don't explain everything, this may be because it can be used with all of the models of 18v LXT battery Makita have made. Providing you have a bit of common sense you should be ok. So apart from the soldering you might expect you also have to cut away a lot plastic and that's assuming you are lucky like me and don't need to replace any cells. If you do spot welding to the cells is the best way to go, as if you solder you risk overheating. As I had previously got the battery pack out of the case the first thing to do was remove the existing pcb and cut away the plastic pcb support etc as per the instruction. I opted to cut the nickel contacts instead of desoldering. Fitting the pcb and soldering the wires to the contacts was simple although I had to break out my larger soldering iron. By far the hardest part was getting the covers back on this took a little fettling of the plastic to get it to fit. Next came the moment of truth, I put the battery on a charger and it charged ok. I then discharged the battery using my circular saw and once again recharged the battery and that also worked ok. Needless to say I will need to let it go through a few more cycles before I am confident enough to call it a success but all in all things are looking good! to find a suitably hi octane activity to test it with. So I decided to take it on a narrow boat trip, now I do admit that at first glance this might not seem like a natural fit but I had a feeling that I could get some quite good time-lapses. 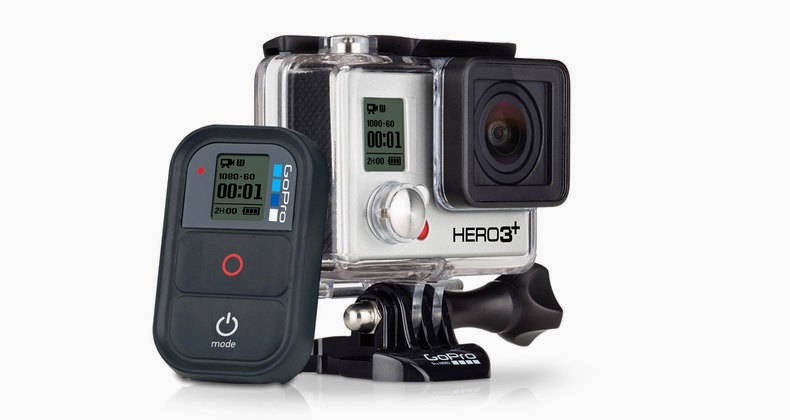 The way the GoPro does time lapses is by taking a series of stills images in jpeg format one after another at a user defined interval of between every 0.5 and 60 seconds. These are then stitched together using software to create an avi file. This can take sometime, I would suggest its a leave it going whist you do something else kind of task. The images that make up the clip below were shot with the camera clamped to the bow tee-stud at one frame per second. I then stitched them together using GoPro Studio although there are other options. Hopefully I will get time soon to edit together some of the other shots I took on the trip. A couple of things I have realised since doing this are that battery life seems to be the same regardless of if you are shooting a time lapse or live footage and secondly at HD a 32Gb Micro SD card does not last very long! much in the way of money, just cover my expenses. I started mining Bitcoin using Butterfly Labs ASIC's based miners but I got into it a bit too late for it to be profitable. Moved over to pool mining alternative SHA coins but once again I was a bit too late. So I decided to have a go at mining some of the Scrypt based coins such as Dogecoin. Initially just using my graphics card but later with a dedicated mining rig. Whilst this has been moderately successful it has kicked out enough heat to make working in the same room uncomfortable to say the least. 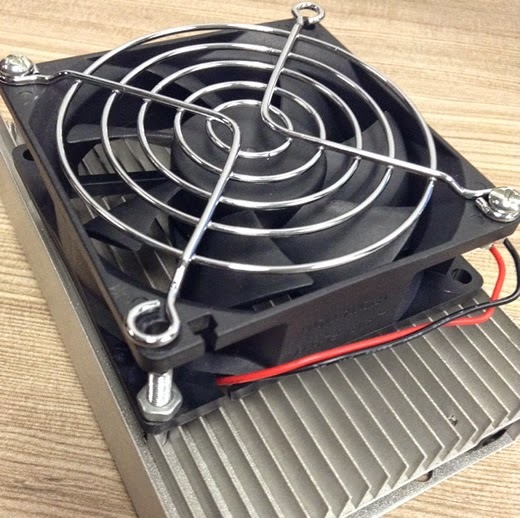 At the time ASIC miners capable of mining Scrypt coins were not available but of recent times a couple of manufacturers have started to offer them at a very reasonable price. Having looked at all the options I have decided to opt for the blizzard miners from Zeusminer and have a couple on order. I should get around twice the hashing power for the same price as when using GPU's. Along with a greatly reduced power consumption hopefully there will be a significant drop in heat output. 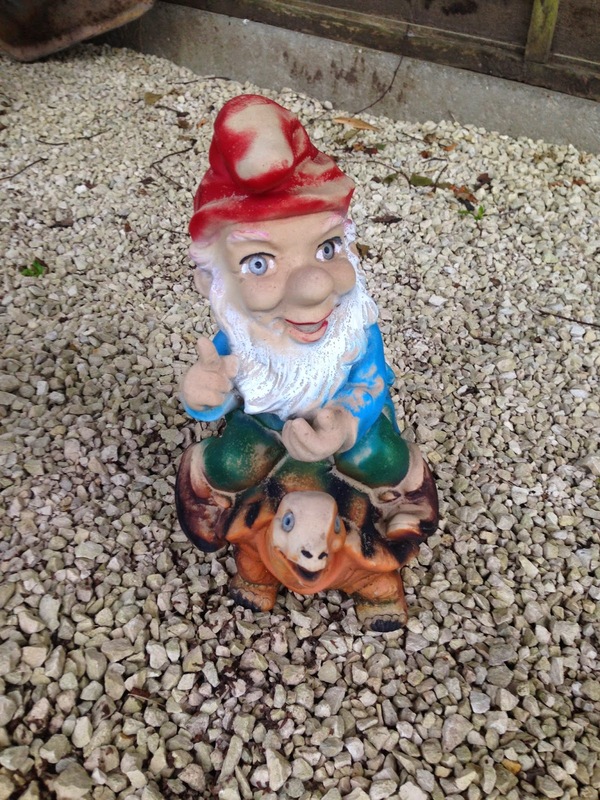 They will to arriving in the next few days, I will keep you posted. I said it would only be a matter of time before I added to the cable collection. 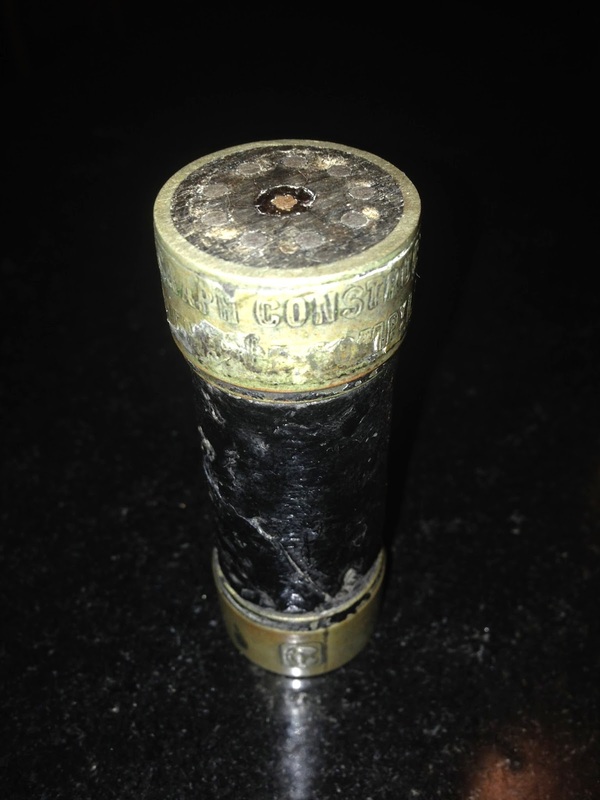 I was right, I just got an absolute bargain on eBay for a piece of the first transatlantic cable with silver plated ends . I have come up with design for a display rack, so once I have a few more I will start that project in earnest. Some people collect things, I have never really been one of those, but I think that might be changing. Now my parents would disagree and say the large quantity of vintage computers mainly BBC Micro's filling there loft is a collection, I would say its just some useful equipment I have collected over the years, oh bugger maybe it is a collection. So what have I started collecting? Well I have started collecting cable and when I say started I have two pieces which is I guess the minimum to count as a collections but a have saved an eBay search so its only a matter of time before I have more. 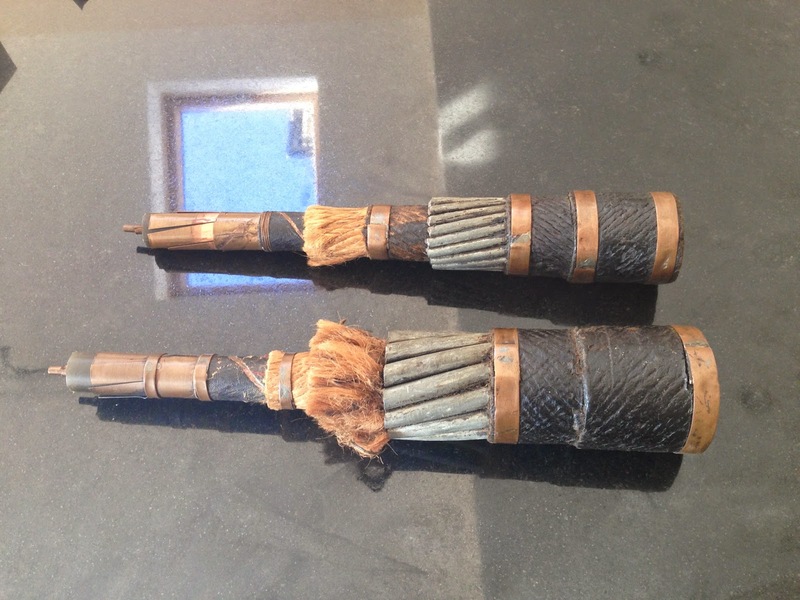 I first purchased a piece of collectable cable in 2007 from the Hoover Dam whilst on a lads trip to Las Vegas. 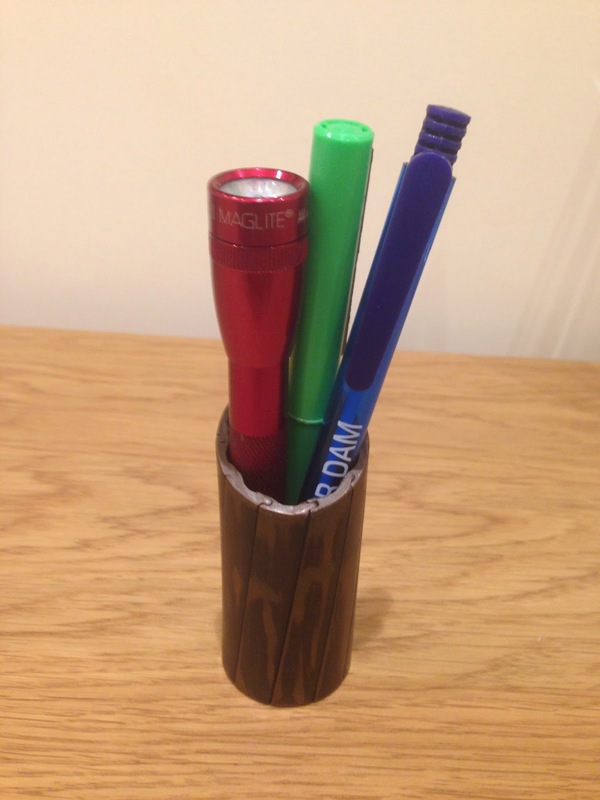 It was a pen holder made out of a short length of hollow high voltage conductor cable, designed to carry 287500 volts across the Mojave Desert. The cable is hollow to save weight, this is possible because most of the electricity flows through the outer surface at high voltages, it is referred to as skin effect. The construction of the cable is ten interlocking tongue and groove strips on a slight spiral, this enables the cable to expand and contract. Sorry to geek out but I do think its a cool design. So I have four failed batteries and decided to find out what has gone wrong each of them. First step is to get the cover off. This is held on by four T10 Anti Tamper screws, on newer models there may be a white plug covering one of the screws. I have found that the easiest way to remove it is to drive in a small wood screw and pull it out with a pair of pliers. I was surprised how much dust had made its way into the batteries. Below is a description of the fault on each battery. Battery One: Fails to charge with a over temperature alert. Also the plastic at the side of the release button has bubbled. It is showing 7.99v across the whole battery which is way to low and 0.04v, 0v, 3.96v, 0.04v and 3.97v across each of the cell pairs respectively. Upon opening up the battery there is obvious damage to the second pair of cells. Battery Two: Fails to charge with classic red / green flashing lights. It is 12.84v across the battery and 3.2v, 0v, 3.22v, 3.22v & 3.21v across each of the cell pairs respectively. Battery Three: Fails to charge with classic red / green flashing lights. It is 15.54v across the battery and 0v, 3.89v, 3.89v, 3.89v & 3.89v across each of the cell pairs respectively. Battery Four: Fails to charge with classic red / green flashing lights. It is 18.15v across the battery and 3.62v, 3.63v,3.6, 3.63 &3.62v across each of the cell pairs respectively. By way of comparison a known good battery seems to measure around 20v when freshly charged. So I think my best option to end up with an extra working battery is to use the board from Battery One and fit it to the cells and temp sensor from Battery Four. Changing the board should be pretty simple it just requires de-soldering. Fixing the other batteries is going to be a little more challenging. Up until recently replacement circuit board were not available so once you had seen the red / green flashing lights three times your battery was bricked. However recently they have become available for a round £10 which is certainly much cheaper than a replacement battery. That still leaves the failed cells and whist it is possible to solder cells together the heat required to solder them risks damaging the cells. Having investigated purchasing a spot welder I feel that is out of my budget but I may have a go at making a capacitor discharge one. Nest Thermostat after 28 days. It has now been four weeks since I installed my first Nest thermostat in my house and since then I have added two additional Nest Thermostat, one to control the kitchen and one for the upstairs, making a total of three. Currently they are all on Nest stands although I will hard wire a couple of them when I am next going to decorate as I will have to chase in new cables. Over the last few weeks I have had several days when in some of the rooms the heating has not been required at all. With my old system I would of carried on heating the area. I have noticed that the auto away seems to be a bit strange about when it triggers, some times it cuts in fine but other days it does not. I am wondering if it might be down to sun light hitting the sensor? On the client side, we have now installed several for clients with all types of heating systems and so far everyone is really happy. I just wish the Nest Protect was available, just about every client we have installed a thermostat is keen to get a couple. Hopefully they will get there issues sorted soon. Nest Thermostat after 14 days - Victor Kiam moment. It has now been a fortnight since I installed my first Nest thermostat in my house and in the mean time I have added an additional one to control another zone. According to my energy history it is already saving me money. The Auto Away feature is now working and has cut in a few times, I look forward to seeing more changes appear to my schedule. Last week I had a few concerns, lets recap. "How long will it take it to learn how long my Underfloor Heating takes to come to temperature? Currently it seems to be going at least 3C over temp." Slowly the amount it goes over temperature seems to be reducing as it learns how long it takes my under floor heating to heat up and cool down. 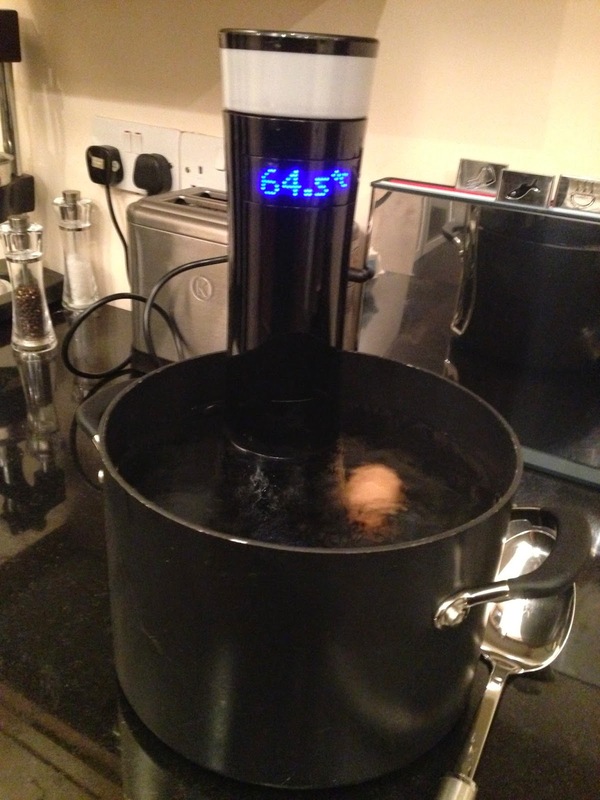 "Will having the Nest on the stand on a counter top slightly lower than the ideal have a major effect on performance?" This does not seem to be causing any problems but intend to check the temperatures with a thermometer just to make sure. "What should I do in the summer, traditionally I have always turned my heat off from May till the end of September but I am not sure this is the way to go with a Nest." 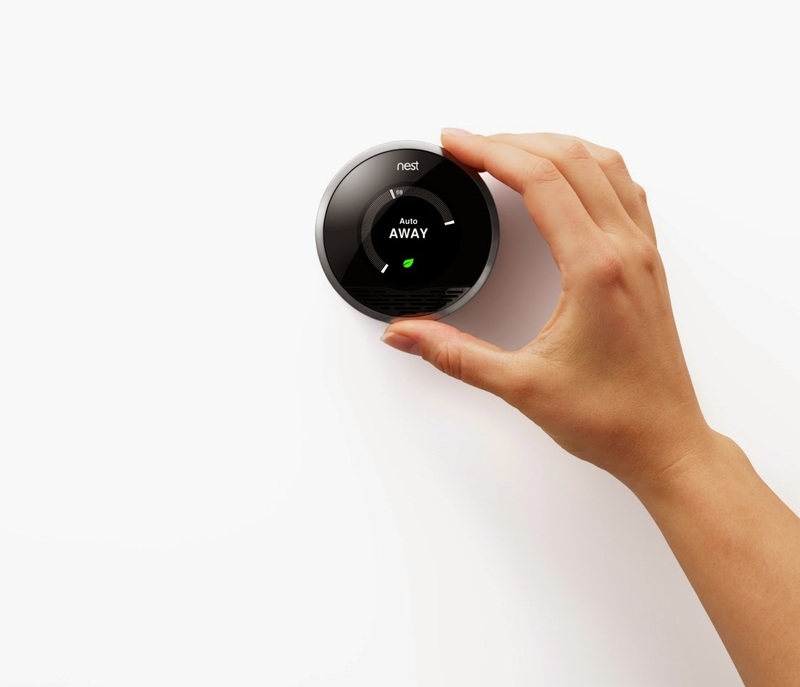 I have decided I will leave my heating on all year round and see how the Nest Learning Thermostat handles things. "It would be really nice if you could put the stat into demo mode to disable learning when give demo's to friends and family." This is one thing I would like to see, every friend who come round seems to want to play with! Now in the interest of full disclosure, I have had a Victor Kiam moment, I like the Nest Thermostat so much I have purchased the company. Well that's not exactly true, first of all Google beat me to it and secondly the price would of been a bit out of my reach. I have however done the next best thing, and become a certified installer. Having owned a heating company for many years it seem an ideal blend of IT and heating. I have been a big fan of the Makita 18v LXT cordless tools for several years now. In most cases I rarely if ever use the corded tools they replaced, despite this there does seem to be a major week point, the batteries. Of the eight batteries I have purchased over the years four have failed out side of the warrantee period, plus two failed within or just after the end of the warrantee and were replaced at no charge by Makita with the assistance of ITS the reseller I purchased them from. 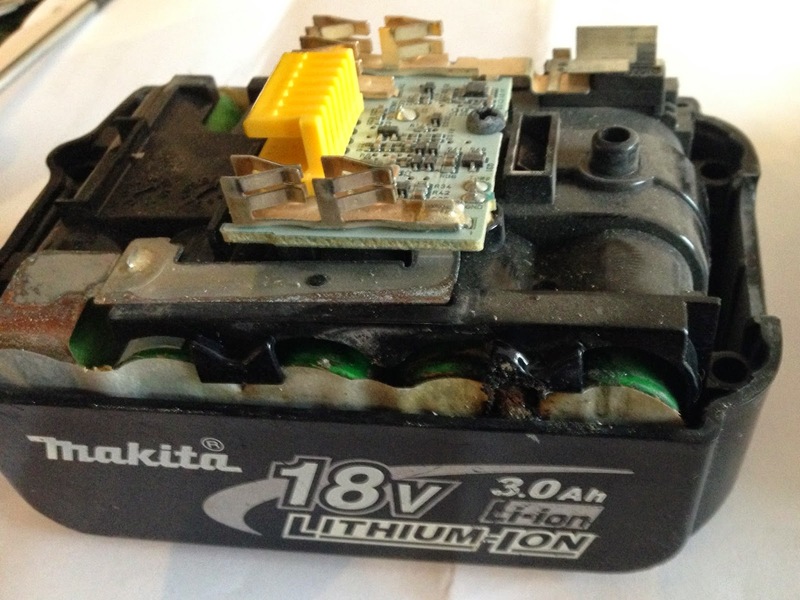 Having spoken with friend and colleagues who have also invested in the LXT range it would seem I am not alone in having these problems, almost everyone I spoke to has had at least one battery die. A quick google confirms that this seem to be a rather common problem. It seems there are two main failure causes, number one over heating and the second is the first two cells fail due to them being used to power the battery management chip and slowly discharging over an extended idol period. This causes the battery to be unbalanced. Well the most important thing is if the battery fails to charge stop! If you continue to try on the third attempt the battery will be bricked. Whilst I am no expert I think this is down to the battery management chip being a little over zealous and stopping you from recharging what it thinks is an unsafe battery. Once I realised this I discovered that there are a few things I could do to lessen the chance of battery failure. Try to keep every thing dust free, its easy for the batteries and chargers to get choked with dust which can lead to overheating. Where possible don't recharge your batteries on the floor. If you are using a tool with high current draw such as the circular saw extensively, check the battery temp (just by touch no need to get a thermometer). If it feels too hot let it cool down for a while before continuing. Never recharge a battery straight from use let it cool down a bit first. I have bricked my battery, is all lost? 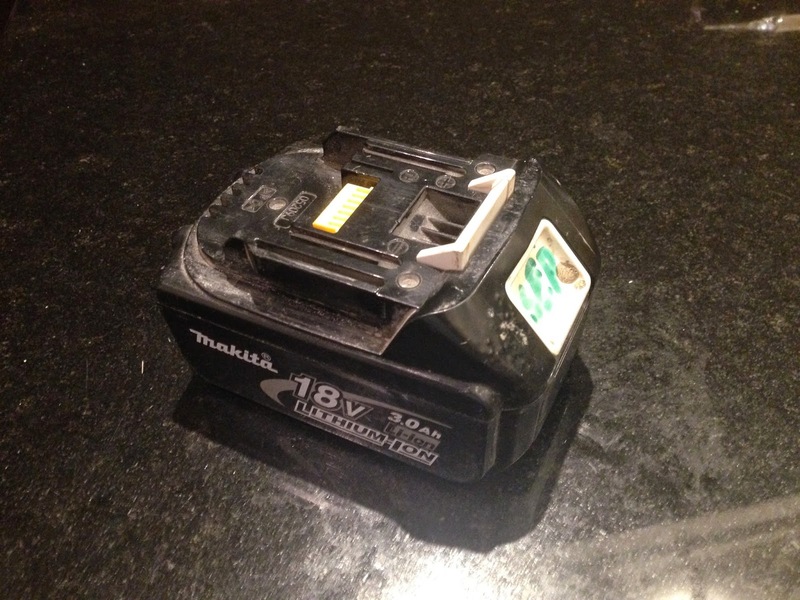 If your battery is still in warrantee then Makita should just swap it out no questions asked, but even if you are out of warrantee they may still be able to help. Regardless of if your battery is out warrantee, providing it has seen little use (under 150 recharges seems to be the magic number) Makita seem to be willing to replace it for free. If Makita can't /won't help you still have options, frequently it will just be one or two cells that need replacing. 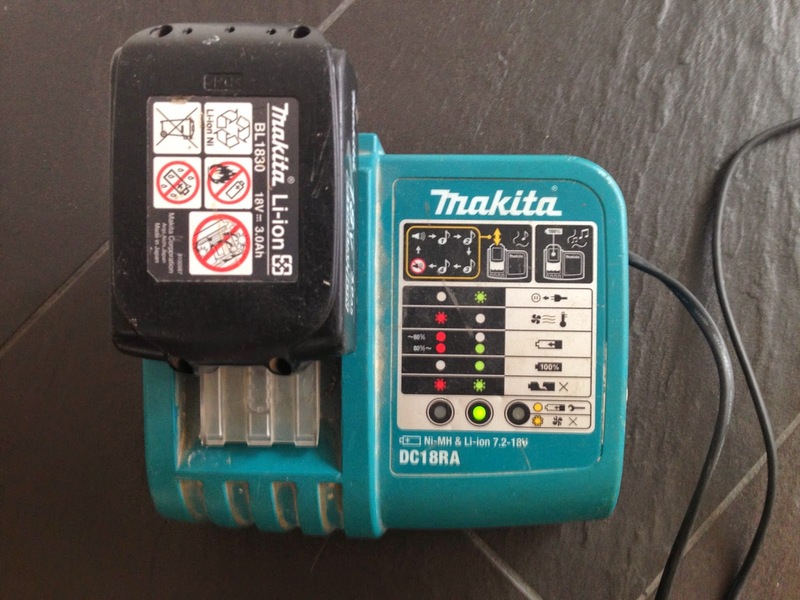 Makita seem to use the Sony Konion LiMn cells and these are available online for between fire and ten pounds each or you can frequently pick up failed batteries on ebay and cannibalise these for parts. At this point you would have a repaired battery but no way to charge it. Several people have had success using chargers such as the Fusion Elysium Pro although I am yet to try this myself. Hopefully I will have time to attempt some repairs over the next few weeks. If you don't fancy trying to fix them. That leaves you with three options, one get some one else to fix them, two buy replacement genuine batteries or three consider buying some of the third party batteries that are now available. I haven't purchase any of the third party batteries myself but I have used a colleagues and the seem ok. For now I will be sticking with the genuine article or having ago at repairing them myself. Well for me despite the reliability problems I still feel these are a good product. The batteries I have purchased more recently seem to be holding up much better. Only time will tell. Well its one week since I installed my first Nest thermostat in my house and so far I am very pleased but do have a few minor concerns. How long will it take it to learn how long my Underfloor Heating takes to come to temperature? Currently it seems to be going at least 3C over temp. 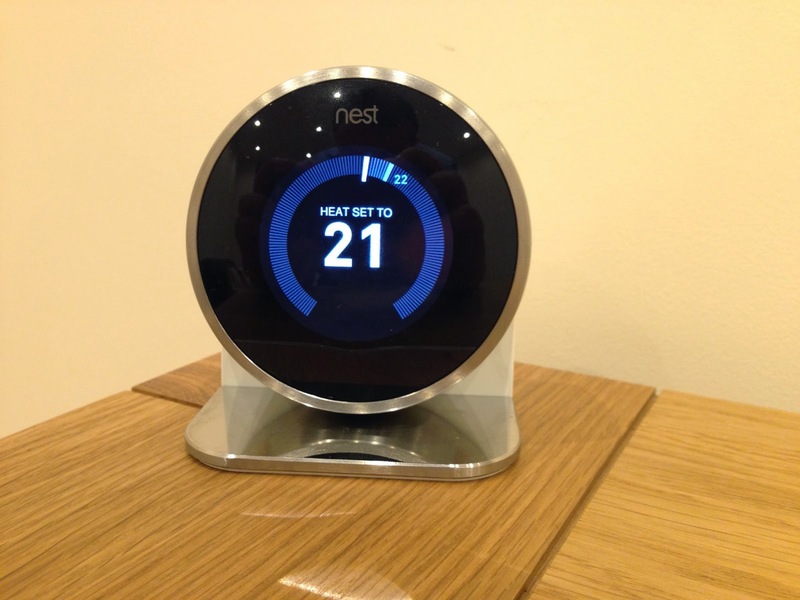 Will having the Nest on the stand on a counter top slightly lower than the ideal have a major effect on performance? What should I do in the summer, traditionally I have always turned my heat off from May till the end of September but I am not sure this is the way to go with a Nest. It would be really nice if you could put the stat into demo mode to disable learning when give demo's to friends and family. Time will tell, and I will be posting regular updates.